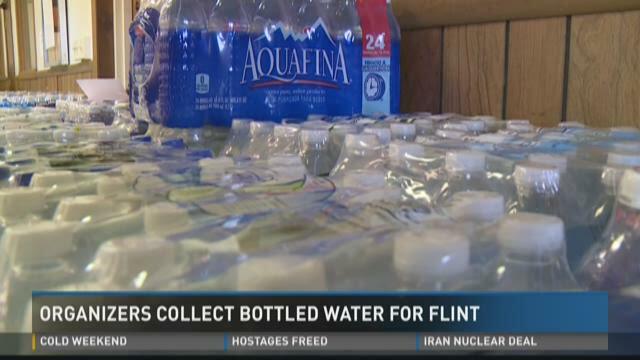 GRAND RAPIDS, Mich. (WZZM) – Members of the Grand Rapids Employees Independent Union held a water drive Saturday to collect fresh drinking water for Flint residents. “It’s important to us as city employees that produce water for West Michigan, clean safe drinking water, for us to step up to the plate and do something right for Flint,” said Doug Bentz, the event organizer. President Barack Obama declared a federal emergency in Flint on Saturday, releasing federal financial aid and assistance to help with this man-made public health crisis. About 300 cases of water were collected in just three hours in to the local drive. Bentz said they have also been approached by people wanting to donate money to the fresh water cause. All donations will be transported to Flint on Wednesday.